Diğer bilgiler Welcome to our listings We are an authorized representative of the company RockWheel in Poland. We offer a full range of milling heads, crusher buckets etc. All devices are produced in Germany in RockWheel company in Langenburg. Buying the equipment in our company, you receive a guarantee, technical support, warranty service and access to all spare parts and accessories. 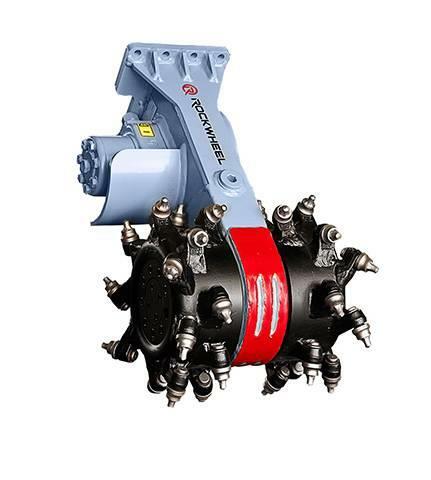 Milling head RockWheel C2 for mini-excavators from 0.7 to 2.5 tons. Milling heads RockWheel are in 11 sizes for excavators from 0.7 to 125 tons. Are an ideal substitute for hydraulic hammers in the performance of making precise excavations, widening the tunnel or renovation or modification of the foundations.